The second largest building designed in Australia by the husband and wife partnership of Walter Burley Griffin (1876-1937) and Marion Mahony (1871-1961), Newman College was a direct challenge to the adoption of the stylistic models of Oxford and Cambridge colleges which had previously dominated Parkville’s College Crescent. 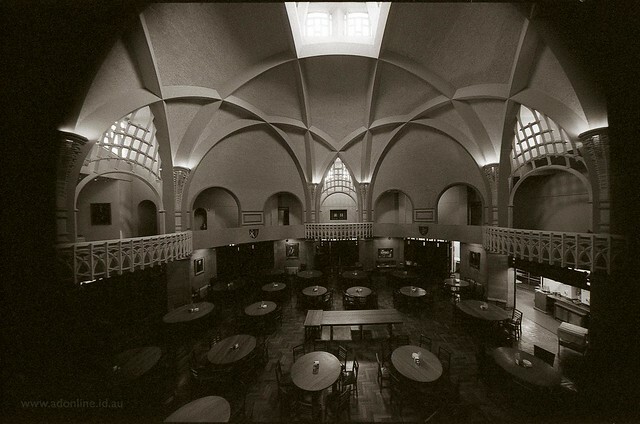 The Griffiths produced a distinctive response to the idea of education, faith and the monastic cloister. Named after John Henry Newman (1801-1890), one of the most eminent English writers and theologians of the 19th century, and administered by the Jesuit Fathers, the college was designed to relate geometrically to the centre of the university campus. Two embracing L-shaped arms of the student rooms over two storeys defined two quadrangles. 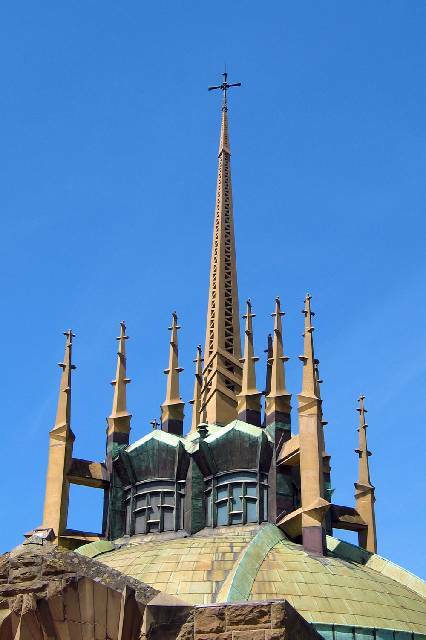 At the centre of the composition was intended to be a chapel. At each corner of the L-shapes was a rotunda: one a dining room, the other a library. 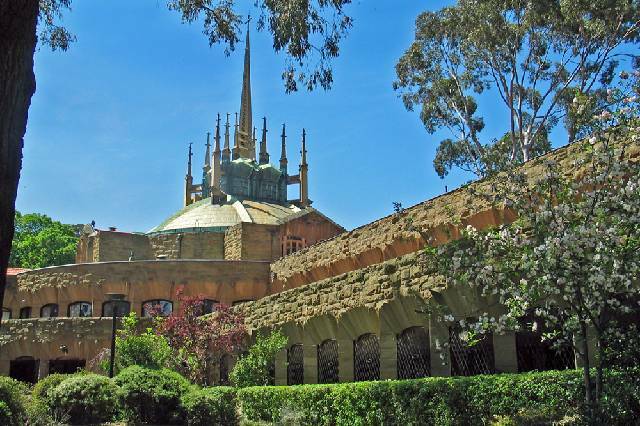 The dramatically long cloister, the walls faced in Barrabool andstone, and the dining room rotunda with its central structure forming a cross combine medieval romanticism, innovative reinforced concrete construction, and a symbology that transcends Christian imagery to provide a universally applicable language of knowledge and faith. 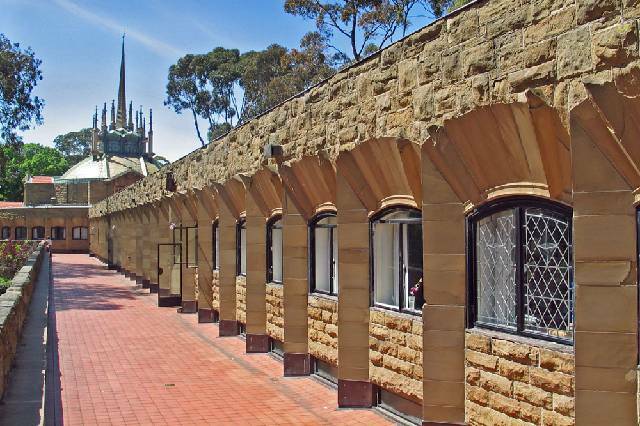 While the chapel was not designed by the Griffins and while only one Griffin-designed wing was constructed, the spatial compression of the cloister, the austere gloom of the dining room and the ingenious fixed ventilation detail of the leadlight windows make Newman College one of the charismatic American couple’s most profound contributions to defining a new Australian architectural idiom in the decades following Federation.